2. Supports scanning and recovering one or more types of files together. 3. Supports previewing photos before recovering. 4. Supports choosing file types before scanning. 5. Supports filtering files according to their file types after scanning. 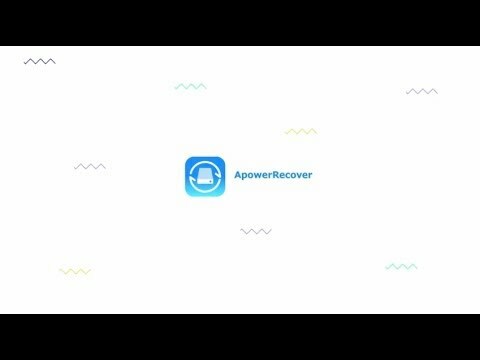 ApowerRecover was added by Akaapp in Dec 2017 and the latest update was made in Apr 2019. The list of alternatives was updated Apr 2019 There is a history of all activites on ApowerRecover in our Activity Log. It's possible to update the information on ApowerRecover or report it as discontinued, duplicated or spam. Data recovery program for NTFS file systems. Reads each block of the hard disk to and retrieves rebuilds file system tree on another partition. Discontinued The program is no longer updated. Last version, 0.8.6, released in June 2009, can be still downloaded from the official website. Discontinued The program is no longer updated since August 2013. Last version, v2.4.7, released in November 2012, can be still downloaded for free, with the sourcecode too, from the official website. Alternatives to ApowerRecover for Windows, Mac, Linux, BSD, Android and more. Filter by license to discover only free or Open Source alternatives. This list contains a total of 25+ apps similar to ApowerRecover. Maybe you want to be the first to submit a comment about ApowerRecover? Just click the button up to your right!